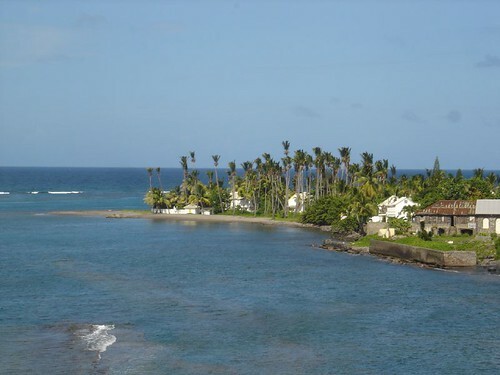 St.Kitts and the neighbouring island of Nevis are an independent state since 1983. Their history is somewhat typical for a Caribbean island. 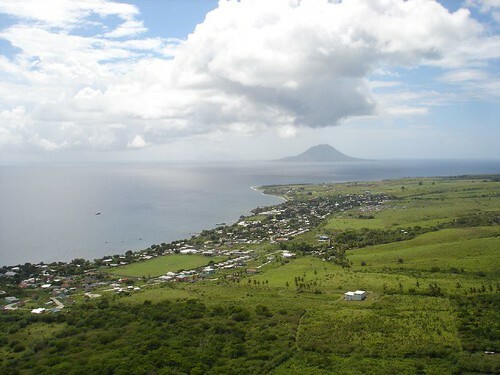 They were discovered in 1493 by Columbus, and named Saint Christopher (still the official name for St.Kitts), but only settled in 1623 by the English. The French who landed a few years later, hooked up with the English to massacre the resident Carib Indians, and St.Kitts was divided between the two (then) super powers. Of course they did not manage to co-exist for long, so there were frequent squabbles, culminating in a one month siege of the impressive English fort at Brimstone Hill. Eventually the Treaty of Paris, signed in 1783, returned St.Kitts to the British. Good for them as both St.Kitts and Nevis have fertile slow-sloping volcanic planes, which made the sugar plantations to most profitable in the region. On top of that, Nevis got known for its natural spas. Both islands became an independent state in 1983, originally including Anguilla into the federation. The latter was not too happy, and kicked the butts of the the St.Kitts policemen stationed on their island, until they fled, followed by a mock attack on St.Kitts by the handful Anguillan men on a small vessel. 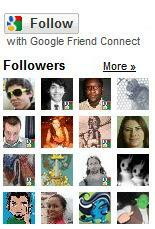 Rumour said they were all drunk. The Anguillans continued to make so much trouble that the British finally got fed up and invaded Anguilla in big force, only to be greeted by a few grazing goats and elderly people raising their glass of rum to them: that is what the Anguillans wanted, to be back under British control. Ha, what a joke. And this was not during Middle Ages, this is 1960's. we're talking about! 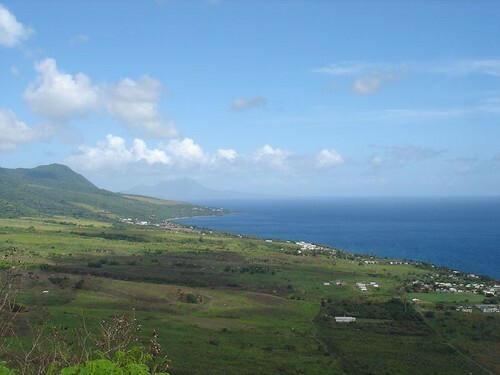 Back to St.Kitts: Volcanic, so not much in terms of white beaches, but loads and loads of fertile land, so the island is very dense green, with forest and sugarcane. The government owned and controlled all the sugarcane plantations, until 1995, when it was determined market prices would never make sugarcane profitable (again). Since then, the sugarcane has not been harvested, and grows wild amongst dozens of plantation ruins, which make very interesting sights by themselves. Gradually pieces of land are donated to residents for agriculture, but as we drove around the island, still, on most of the "cultivated" land, you see sugarcane. Ten year old sugarcane. 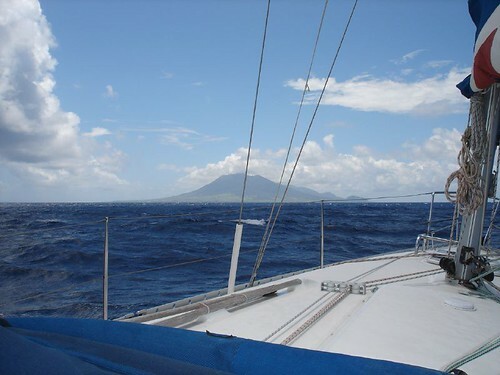 Oh, oh, and before I forget it: there is a lovely and relative new small marina in Basseterre, the only decent shelter for storms amongst the island chain of Saba, Statia, St.Kitts, Nevis and Montserrat. Recommended! I hope they can maintain it in high standards as it is an asset for the region.